And now there are nine! Nine children – that’s how many I support with a monetary commitment each month. But just as important as the monetary commitment is the commitment to communicate with these children on a regular basis – to remember them by keeping a regular correspondence to them going, to remember them on special occasions, and to continue to pray for them daily. After deciding to sponsor Fredeline in December 2013, when the new year arrived I was so excited about sponsoring her that I wanted to do more. 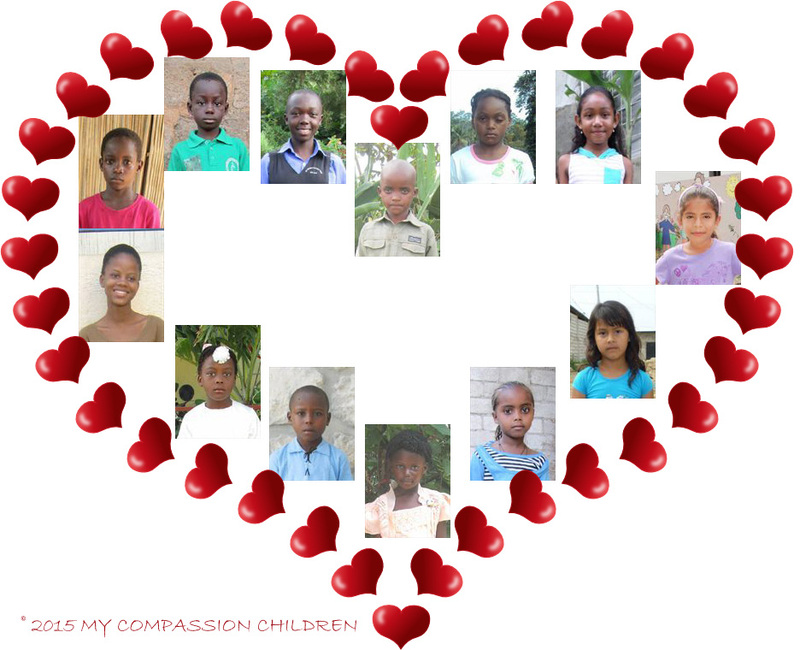 During the January timeframe, I chose three additional children from Haiti – first Chalanda, then Anne, then Anold. After choosing the four in Haiti, I must have been making up for lost time because the next month I decided to begin considering children in Africa. I started questioning myself as to how many children I felt I could comfortably sponsor now. I say ‘comfortably’ because a commitment to these children is a big responsibility. These children get so excited when they are chosen by a sponsor, and it is up to each sponsor to live up to his/her end of the deal. I knew I could do more. So in February I chose Rosine and Akoete, both from Togo, and Emeliya from Ethiopia. Then in March, I chose the final two – for now – Hasimat and Kigongo, both from Uganda. These are the nine precious children I have chosen to support in my role as sponsor. I am happy with my decision to do this, and I only wish I had done it sooner!